Silverstone Technology Cluster has announced the 12 dates its Special Interest Groups (SIGs) will meet in 2019. These begin with the Computer Aided Engineering SIG on 22 January with an event themed ‘Mapping the CAE tools for the development of Electric Vehicles’. STC CEO Pim van Baarsen said: “We’re really looking forward to our SIG events in 2019. “Each has gone from strength to strength since we formed STC in late 2016 not only in terms of numbers but, importantly, the sheer wealth of knowledge that is being shared among those who attend. “Each SIG has some of the best minds in their respective fields. 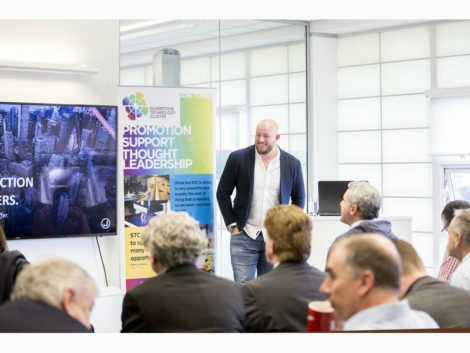 The thought leadership is world class and this is serving our members – many of them SMEs – as part of our commitment to helping them make decisions with confidence in areas such as investment, machinery, skills and recruitment, collaboration and trading. The most recent SIG (7 Nov) was held at Board member Grant Thornton’s Milton Keynes premises. Its Advisory Director Mark Clement said: “The event was very well received. The aims and objectives of the STC when it originally started – growth, promotion, collaboration, thought leadership – are very much in line with our own purpose of creating a vibrant economy.